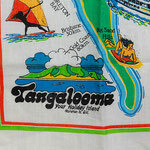 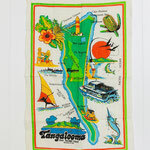 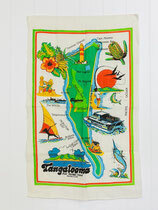 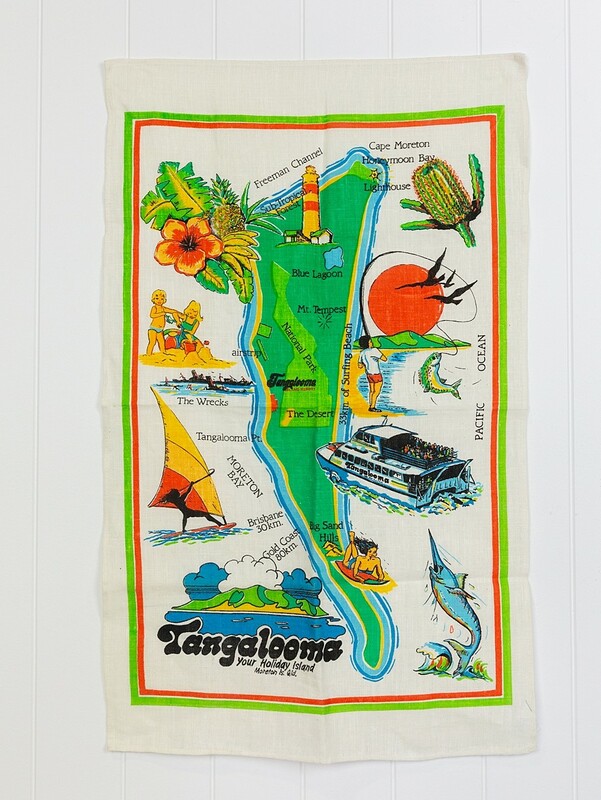 This fabulous souvenir linen tea towel is most likely from the 1970's. 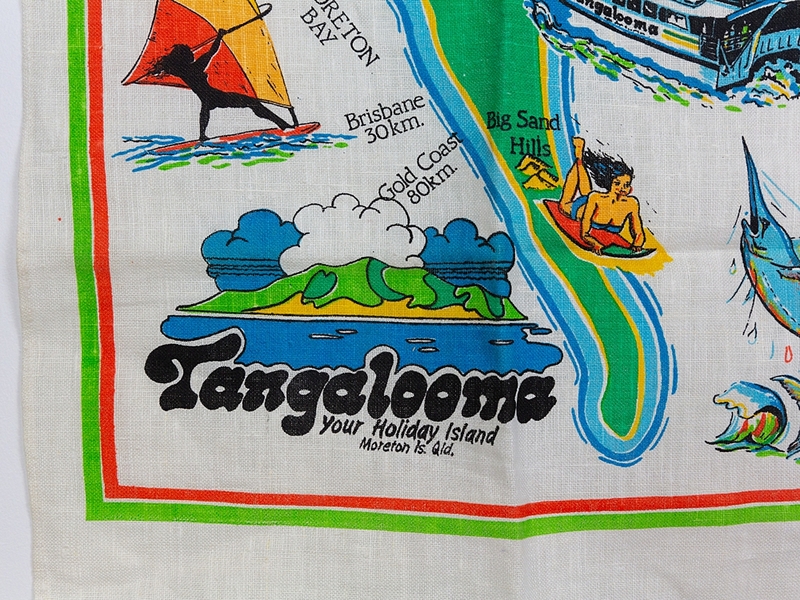 Never used you can just imagine that mum kept it in 'the good drawer'! 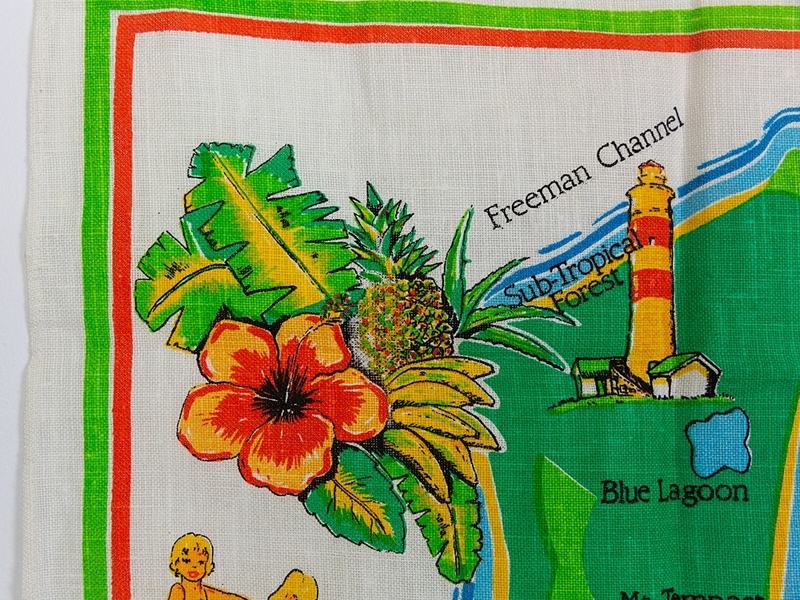 The vibrant colours make it perfect for a retro beach shack, it might even make it's way back to the Morten Bay area! 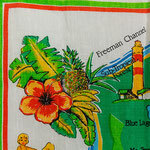 It would look great in a frame, or used as part of a gallery wall.